Hey guys! I finished reading Cinder a few days ago on a boat ride. So here's my review for it! Cinder sure is full of surprises. There were several plot turns in there. It shocked me often, but some of the things were quite predictable. I feel so sorry for Prince Kai. I wish he didn't have find all of that out all at the same time. I wish Cinder had let him know slowly as things went instead of allowing it all to blow up in their faces. I know, it wasn't her fault. Nobody in that situation would've predicted it. I, the reader, did think that something like that would happen though. He's so sweet and kind and pure. And all this happens to him. I'm surprised he's not completely ruined yet. 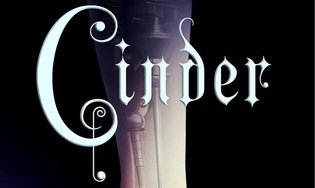 I hope nothing happens to him, because of Cinder's decision in the end and Queen Levana being an evil... creature. I feel swearing but I don't want to be rude. I also feel bad for Cinder. I mean, if I were her I would like to continue thinking and living my life as a worthless cyborg. I mean to find out that this whole time you were so much more than you though. And to mention that you couldn't really do anything to fix the past. I'd hate it. Not to mention what happened to Peony. I mean it was so close! So close! Those last few seconds that Peony had, Cinder was there. Cinder tried so badly to fix it all but she didn't make it in time. I had a feeling that she was exactly who Prince Kai was looking for though. Too bad she couldn't tell him. At least she found out in the end. This book was so enchanting and magical it all but swallowed me up. I loved it. Yes, I said the Cinder swallowed me up not I swallowed Cinder up. That's because I loved it so badly that it practically became my world. And when I reached the last sentence I felt a rising panic. With each word I got closer to the end. I wanted to slow down so badly, but I couldn't. It felt so right to read it. And then I read the last word. And like that it was over. And I wanted to cry so badly because I didn't want it to be gone. I didn't want it to be over. But it was. 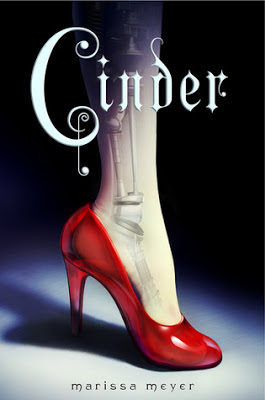 So congrats to you Marissa Meyer. That just proves how wonderful Cinder is. I'm giving it a 5 for the rating. Does this book reach my high expectations? Yes. It definitely did. I loved it. Would I recommend this book? And to who? I would recommend this book to all YA lovers. I hope you all love it as much as I do.